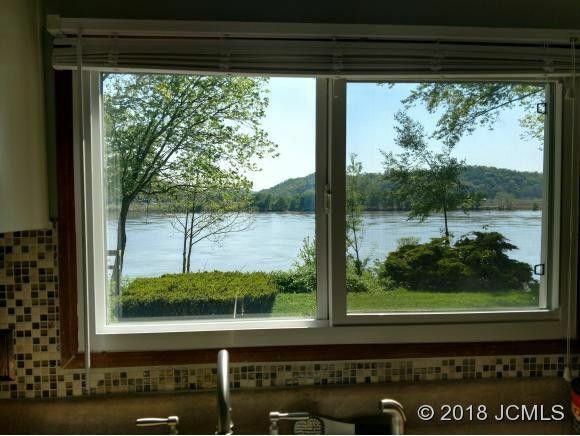 Beautiful home that includes a one-tenth interest in 72 acres of farmland and woods and one-half mile of Ohio River frontage, with farm income that pays property taxes and insurance on the larger parcel and pays for water, road maintenance and street lighting. Also included is a one-tenth interest in a large pole barn with tractors, air compressor, mowers, trimmers and hand tools. Updated HVAC, 2+ car garage and a new wood stove.Fantastic views from property & great room 2 bedrooms having on suite baths. No known flooding near the house even during the '97 flood. Come take a look!Personal property taxes paid by owner on State parcel #39-408-10145-00 are 178.58 x 2Real Estate taxes paid by corporation on entire parcel, 39-11-07-000-003.000-008, are $1928.32 X 2.